Where can We Buy Cats Eyes Road Stud? Where can We Buy Road Cats Eyes ? The traffic safety facility get flourished in recent years, and a large number of traffic safety facility companies are built to earn money in this field. But not all of the road cats eyes that produced by those companies can meet national standard, so it is quite difficult to choose a factory whose products are with high-quality and compatible price. Where can we buy road studs and how to choose an excellent road stud producer to cooperate with? More things should be learnt about the road stud, including its classification, national standards about the characteristics of the road stud, its working modes and other related information, which may help us to choose a qualified factory to cooperate with. Then browse the website or catalogues provided by the factories or companies to choose the products that are appropriate for us to learn. After knowing the basic features and parameters of the products and the factories, we can go to the factories to make on-the-spot investigation, which will give us perceptual knowledge about the products. 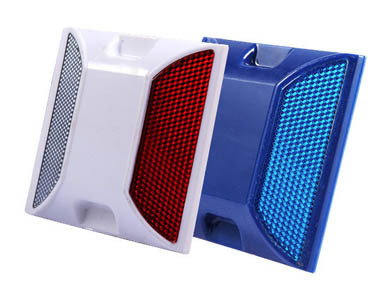 If you want to buy road cats eyes with high-quality in China, NOKIN TRAFFIC FACILITY will be your best choice. It is a professional road stud facilities manufacturer and supplier, which ranks the leading position of China for more than 16 years. NOKIN has a professional research and development team, which is always working on innovation and providing new products to its clients. 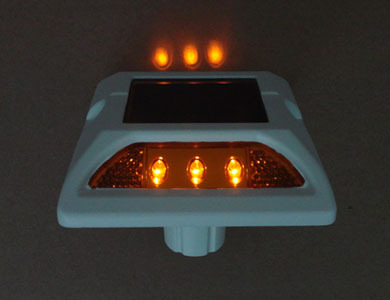 Products made in accordance with the needs of the consumers can be provided, and the single side or double sides or more sides are available upon request about the solar road studs, and the number of lights of all solar road studs can be customized. NOKIN will provide you with all necessary information about your orders.